Sir Roger Bannister (1929 – ) was the first man to run a sub-four-minute mile – one of the most iconic athletic milestones. 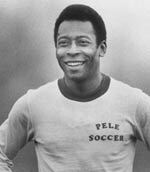 Born in 1929, he studied medicine at Oxford University and represented Great Britain in the 1952 Olympics in Helsinki. 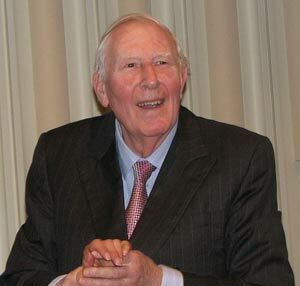 At the Olympics, Roger Bannister finished 4th in the 1500 metres. But, inspired by the intensive training and three gold medals of Emil Zatopek, Bannister decided to make a determined effort to beat the magical four-minute barrier for the mile. In 1953, Roger Bannister saw an opportunity at an athletic meeting between Oxford University and Amateur Athletics Association on 6 May. The actual day was cold, wet and windy and the record attempt was nearly called off. However, at the last moment, the wind died down, and Bannister decided to take his chance. He was led out by two pacemakers Chris Chataway and Chris Brasher who led him for the first three laps. Then Bannister made his last effort for the line. Clearly, on the verge of exhaustion, Bannister almost fainted over the line, before the time keeper (Norris McWhirter,) read out his time. McWhirter who went on to work on the Guinness Book of World Records read out the time to create suspension. The seconds were not heard as the 3,000 crowd cheered the historic moment. Six weeks later in Finland, the Australian John Landy became the second person to beat the four-minute mile setting a new world record of 3 minutes 57 seconds. But, who remembers the second person to run a sub four-minute mile? 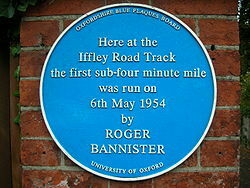 Bannister held the one mile record for the shortest time. He went on to be a distinguished neurologist and Master of Pembroke College, Oxford, before retiring in 1993. 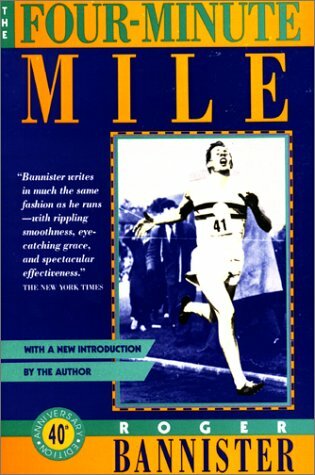 When interviewed 50 years after the famous four-minute mile, Bannister was asked whether he thought the sub four-minute mile was his life’s greatest achievements. He said no. He felt his work in neurology was of greater importance. Bannister made discoveries in the field of autonomic failure. The current mile record is held by Hicham El Guerrouj’s with a time of 3:43.13.